This post was sponsored by Sling TV and my thoughts and opinions are my own. We did it! After much debate we finally cut the cord on cable. Our cable company just wasn’t giving us the service we wanted. We had issues with fuzzy pictures, sound going in and out and days where it just went completely out. We called them out many, many times. We had them change out boxes , even come out and redo the lines under ground, but we still had issues. In fact after checking on our neighborhood app, it seemed that lots of people in our neighborhood were having issues. This wasn’t a hasty decision, after all we had been customers for over 15 YEARS! The final straw was when they told us we would no longer be able to watch the cable we were paying for unless we rented all new boxes in every single room of our home. What about the rooms where we only watch TV in that room when a guest comes to stay? It seemed weird having to pay a monthly fee for something we might use once or twice a year. Every year the prices just kept going up and we were fed up! Thankfully my cousin introduced my husband to Sling TV. My husband came home after watching a game at his house and said “Honey, I found a solution to our cable problem.” I still had some hesitation because I had a lot of questions. That’s when I reached out to Sling TV. That’s right “I” reached out to THEM. They did not contact me. I am telling you this because I want you to know this is something I am truly excited about and that we as a family sought out ourselves. They were able to answer all of my questions. Even after cutting our cable bill, going down to emergency phone only and then upgrading our internet to the ” ultimate package ” we are still saving $100 a month. If you add on the $40 a month for the Orange + Blue Package on Sling TV that is still a savings of $60 a month! That’s $720 savings in one year alone! Also I use an HD Antenna for all my over the air channels like 4,5,9 and 25. During the time that we were testing out Sling TV and deciding if this was the right move for us we saw that Sling TV values their customers. They listened to opinions, and what channels their fans on Facebook were asking for! Guess what? They added more channels and Sling TV just keeps improving and adding on. What I love about Sling TV is that even though they are adding more channels they aren’t nickel and dimeing their customers. The prices start as low as $20 a month with no hidden fees and no long term contracts. Since Sling streams, you can watch your sling account on vacation as well. If you’re going to be out of the country and not home for a month you can cancel your Sling TV and start it right back up when you get back with no cancellation fees. You literally have nothing to lose. One thing I will mention is make sure you have a good internet connection so that you don’t have any streaming issues. They do not have a DVR option yet but they are working on it. Many of the hows you can watch a few past episodes as well as complete seasons. 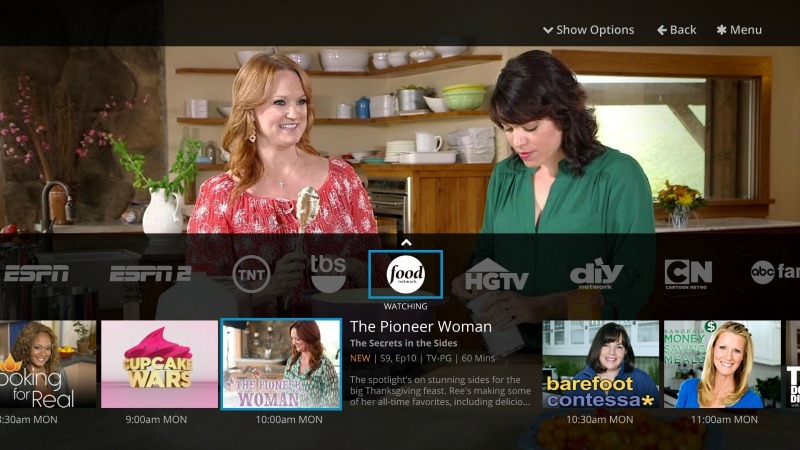 So what can you watch Sling TV on? Get a free ROKU 2 when you prepay three months of Sling TV or get 50% off the ROKU 3 with voice search. I have given you my top two choices for a reason. The reason is because they stream better. The Amazon Firestick is good too, but I feel like it doesn’t have the capacity to stream as well. It may be cheaper but you get what you pay for, trust me, I have tested that one out. The Roku is my favorite. I love the controller as it’s more user friendly and my husband can plug in his headphones at night to the controller and watch Sling TV without waking me up. Have you tried Sling? let us know how you like it. 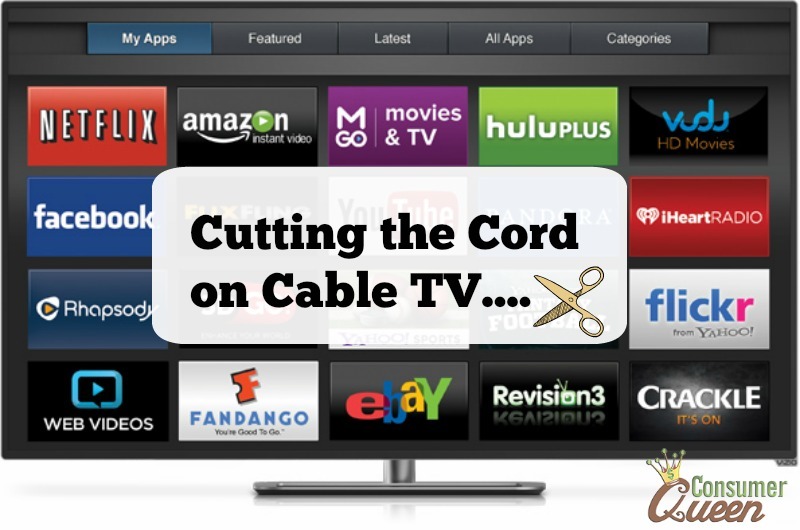 If you cut the cord on cable and joined Sling TV, comment below and let me know. I’d love to hear how you like it and maybe I can help answer some questions! Right now I have the Orang+Blue package as well as Hollywood Extra , HBO and Lifestyle Plus.